Ellen is a Year 11 pupil at Withington Girl’s School. Ellen started karate, purely by chance, when she was nine. What began as a once a week class she attended, rapidly turned into a passion and nearly six years later she trains at two clubs, three times a week. Hale is where Ellen’s karate began and where she now enjoys the opportunity to teach and help the next group of students enjoy karate as much as she does. 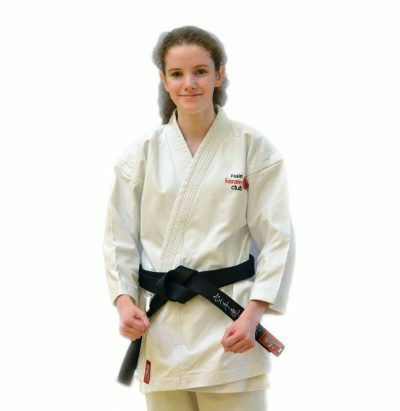 Ellen attends Withington Girls School and runs a small informal karate club at a lunchtime. She is currently working towards her Gold Young Leaders Certificate, (having obtained Bronze and Silver) which is a training scheme run by the KUGB.